Alfred Beaver, The Art Journal , 'The art sales of 1883', London, Oct 1883, pp 321–24: p 321. Victorian watercolours: selections from the Art Gallery of New South Wales , Sydney, 2000, p 10, no 15. Victorian watercolours from the Art Gallery of New South Wales , Sydney, 2017, pp 86, 88, col illus p 88. National Art Gallery of NSW illustrated catalogue , Sydney, 1924, p 77, no 13. National Art Gallery of NSW illustrated catalogue , Sydney, 1921, p 66, no 13. National Art Gallery of NSW illustrated catalogue , Sydney, 1917, p 79, no 86. Revised editions 1918, 1919. National Art Gallery of NSW: illustrated catalogue , Sydney, 1906, p 85, no 92, illus p 85. Revised editions 1908, 1910, 1912. Catalogue of the National Art Gallery of New South Wales, published by the Trustees , Sydney, 1899, p 54, no 331. Catalogue of the National Art Gallery of New South Wales (with illustrations) drawn by E L Montefiore, director, and others, published by sanction of the Trustees , Sydney, 1893, p 100, no 303. Catalogue of the National Art Gallery of New South Wales, (with illustrations), drawn by E L Montefiore, Esq (President of Trustees) and others, published by sanction of the Trustees , Sydney, 1891, p 75, no 294. Catalogue of the National Art Gallery of New South Wales with illustrations, drawn by E L Montefiore, Esq, and others, published by sanction of the Trustees , Sydney, 1888, p 78, no 105. Trustees of the Art Gallery of New South Wales: Minutes 31.8.1880-4.8.1891 , Sydney, 1880-1891, pp 388, 389 (21 Aug 1888). AGNSW archive 31/1888 , 27 Mar 1888. The Athenaeum, no 2889 , 'Sales', London, 10 Mar 1883, p 319. Catalogue of the choice cabinet of water-colour drawings, pictures, engravings, books, enamels, etc, the property of Mrs Haldimand, deceased... , London, 21 Jun 1861, p 6, no 68. La Belle Assemblée or Court and Fashionable Magazine, no 29 , 'Fine arts' exhibitions – Painters in Water Colours', London, May 1827, p 236. The Literary Chronicle , 'Society of Painters in Water-Colours (second notice)', London, 05 May 1827, pp 283–85: p 285. The Literary Gazette, no 537 , 'Fine arts - Water Colour exhibition', London, 05 May 1827, p 283. The Literary Gazette, no 536 , 'Fine arts – Water colours exhibition', London, 28 Apr 1827, p 266. 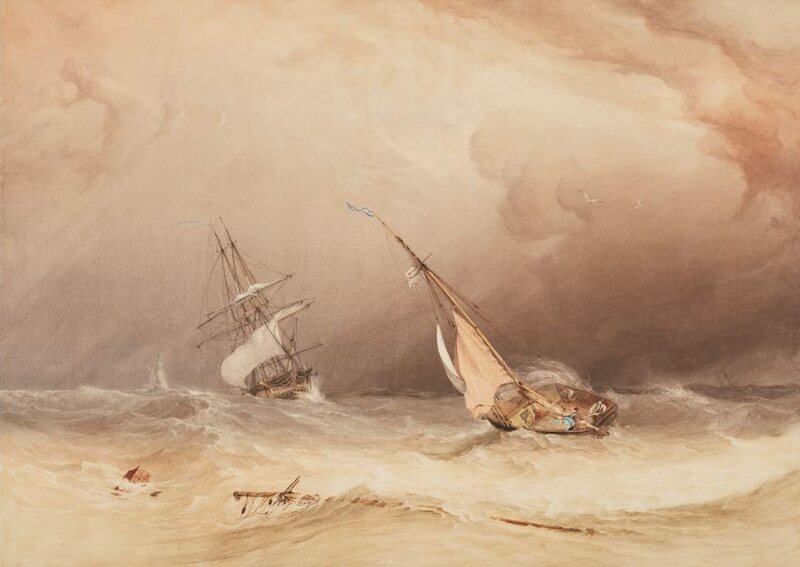 Exhibition of the Society of Painters in Water Colours, the twenty-third , London, 1827, p 9, no 109. The New Monthly Magazine , 'Fine arts – Annual exhibition of paintings in water colours', London, 01 Jun 1827, pp 244–46: pp 244–45. National Art Gallery of New South Wales illustrated catalogue , Sydney, 1928, p 102, no 78. National Art Gallery of New South Wales illustrated catalogue , Sydney, 1925, p 79, no 13. Revised edition 1926.